Fidelity Bank Plc’s Long-Term Issuer Default Rating (IDR) has been affirmed at ‘B-‘ by Fitch Ratings with the Outlook Stable. A statement yesterday from Fitch said it also affirmed Fidelity Bank’s National Long-Term Rating at ‘BBB(nga)’. 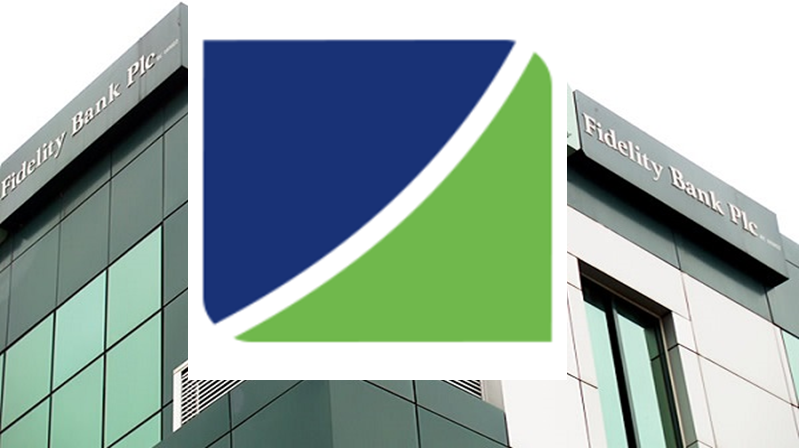 According to Fitch, the IDRs of Fidelity Bank are driven by its standalone creditworthiness, as defined by its Viability Rating (VR) as with that of other Nigerian banks, which are highly conditioned by Nigeria’s operating environment, with the fragile economic recovery restraining banks’ growth prospects and asset quality. The statement said Fidelity Bank’s VR further reflects a moderate franchise, weak profitability, potentially vulnerable asset quality, some weaknesses in the bank’s funding and liquidity profile as well as adequate capitalisation. It added that the stable outlook reflects Fitch’s base case expectation that Fidelity Bank’s credit profile is unlikely to change significantly over a one-to-two year period. Fidelity Bank operates exclusively in Nigeria, accounting for 4 percent of banking system assets at end-2017. The bank’s impaired loans (stage 3 loans under IFRS 9) ratio (7.5% at end-1H18) is slightly lower than the sector average. However, Stage 2 loans are high, measuring at 21% of gross loans at end-1H18, as is the case for many Nigerian banks. Reserve coverage of impaired loans (88% at end-1H18) increased significantly following the implementation of IFRS 9, which we view positively. Fidelity Bank is exposed to large credit concentrations. The 20-largest loans represented 53% of gross loans and 252% of Fitch Core Capital (FCC) at end-1H18. Fidelity Bank is also exposed to the oil sector, which accounted for 23% of gross loans at end-1H18. Profitability is weak, but in line with most similarly-sized peers’. Fidelity Bank’s operating profit/risk-weighted assets ratio was 1.8% in 2017, which is weak by emerging markets standards. Weak profitability metrics reflect a low net interest margin, given a high cost of funding that is reflective of Fidelity Bank’s more expensive deposit base. Weak profitability also reflects a high cost-income ratio (68% in 2017) and loan impairment charges that have eroded around 30%-40% of pre-impairment operating profit in recent years. “We view Fidelity’s capital position as no more than adequate with a FCC ratio of 16.8% at end-1H18. Capital, in our view, is vulnerable to deterioration in asset quality,” Fitch said. It noted that Fidelity Bank’s loans/customer deposits ratio (92% at end-1H18) is higher than peers’, explained by a higher proportion of non-deposit funding. In 2017, Fidelity Bank issued a five-year senior unsecured $400 million bond, easing its foreign currency liquidity position. Of this, $256 million was used to repay a $300 million Eurobond in May 2018. Near-term debt repayments are limited, with the next large repayment being in 2022 when the Eurobond becomes due. Fitch said single-depositor concentration is in line with peers’, with the 20 largest customer deposits accounting for 20% of the total at end-1H18. It added that Fidelity Bank’s senior unsecured debt is rated in line with the bank’s Long-Term IDR and, therefore, has been affirmed at ‘B-‘. In Fitch’s view, the likelihood of default on these instruments reflects the likelihood of default of the bank. The Recovery Rating (RR) of ‘RR4’ indicates average recovery prospects in case of default. Fitch said it believes that sovereign support to Nigerian banks cannot be relied upon given Nigeria’s weak ability to provide support, particularly in foreign currency. In addition, there are no clear messages of support from the authorities regarding their willingness to support the banking system. Therefore, the Support Rating (SR) and Support Rating Floor (SRF) are ‘5’ and ‘No Floor’, respectively. “This reflects our view that senior creditors cannot rely on receiving full and timely extraordinary support from the Nigerian sovereign if any of the banks become non-viable,” the rating agency said. It said Fidelity Bank’s Long-Term IDR is sensitive to a change in its VR, pointing out that downside pressure is most likely to result from a material weakening of loan credit quality, including the migration of stage 2 loans to stage 3, putting pressure on capital adequacy.